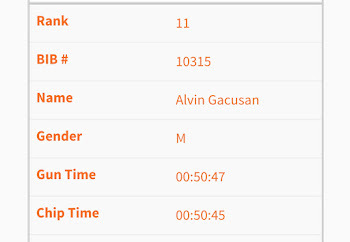 After a very good and inspiring run at the World Vision Run last June 21, I decided to continue the positive energy and registered for this event in the 10K category. 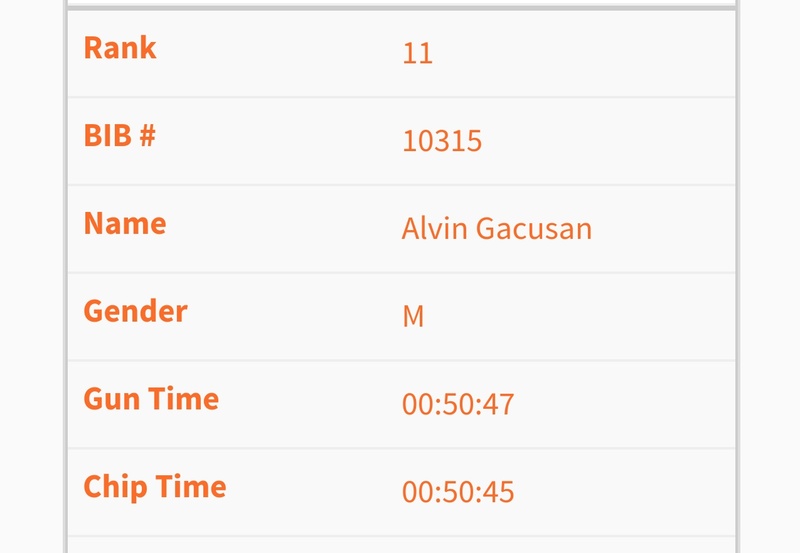 I ran in this same event last year but in the 21K category. 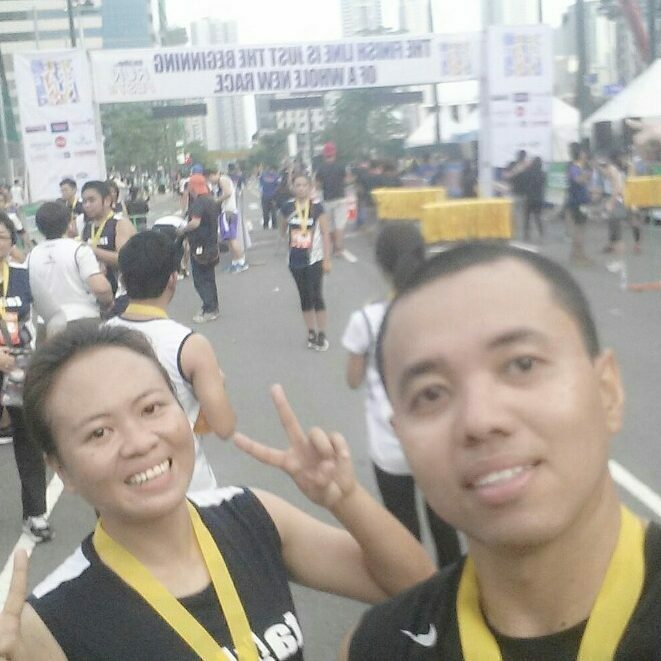 With my sister and Team Shinrai teammate Haidee, we arrived in the area 30minutes before the gunstart. We did a short warm-up then headed to the starting line. Wishing each other goodluck and off we go! I tried to pace with the strong and fast runners at the start but they were really fast. With their pace, I could only last for 3kms tops. So, I slowed down and ran my own race. I had two objectives for this race. Beat my previous time and not to walk along Kalayaaan Flyover. I've joined quite a few races already that crosses that flyover, and all of those races, I walked! Fortunately this time , I was able to accomplish objective number one. The weather was perfect and my legs and lungs were feeling good. I pushed everything I got and it was a career race for me. I crossed the finish line in 50 minutes 47 seconds. Thank you to Takbo.ph organizers, sponsors, volunteers and photographers for a great race. Congratulations to all the winners and finishers. Congrats to Haidee for a 7th place finish (female)! 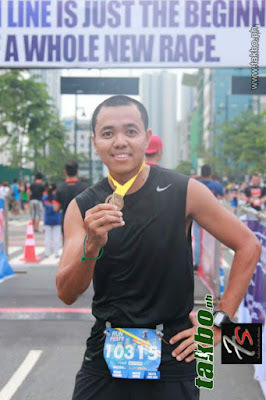 Thank you Lord for your continuous gift of running.